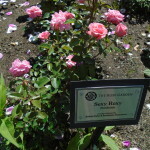 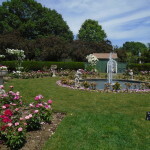 Hidden behind the Boston Museum of Fine Arts is a rose garden. 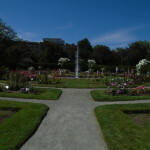 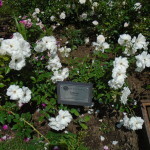 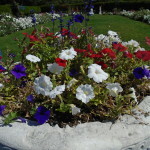 One must dodge all the duck excrement on the pathway to the Kelleher Rose Garden, but it well worth checking out at the start of summer. 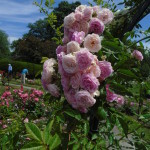 This is my first time checking out the garden; due to the heavy winter storm from earlier in the year, the roses were not quite in bloom. 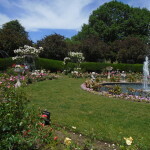 However, it was still a nice, quaint spot in the middle of Fenway to check out. 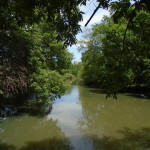 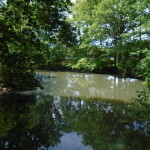 It’s not quite a Boston secret, but it’s secluded enough where it’s not too crowded like the Commons. 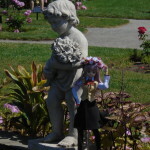 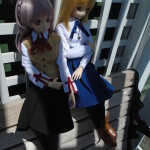 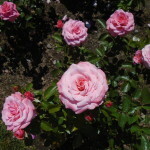 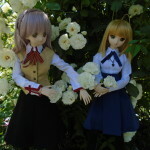 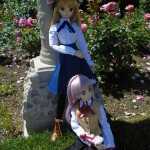 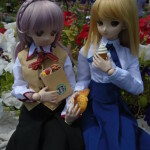 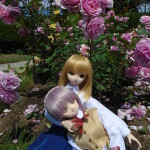 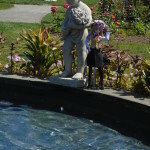 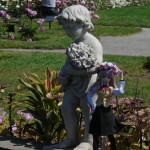 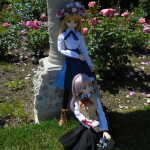 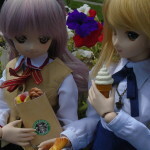 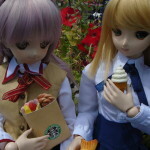 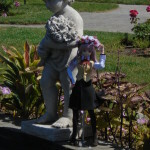 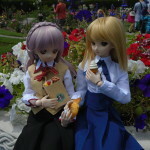 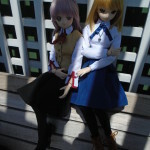 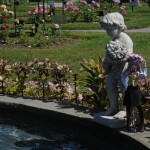 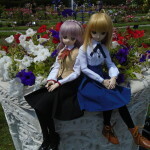 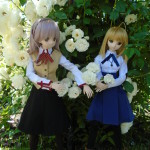 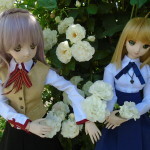 Anna and I brought our Dollfie Dream girls to the rose garden one summer afternoon. 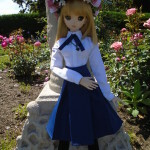 She had Saber’s casual outfit on her official Saber doll. 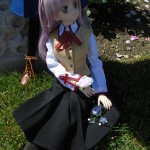 Shiayuki has a lavender wig similar to Sakura. 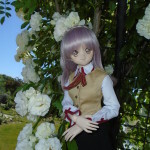 Considering Shirayuki has resting genki, yet gentle face, it works well for her. 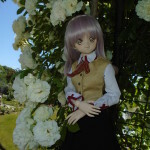 Shirayuki. 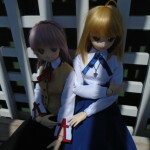 Many thanks to Anna for loaning me her Fate / stay night uniform!